Automation PC 2200 is the latest generation of B&R's successful 2000 series of compact industrial PCs. Equipped with Intel Atom processors from the Apollo Lake generation, the Automation PC 2200 is available in either box PC or panel PC format. Despite its compact dimensions, the Automation PC 2200 is a full-fledged PC system. Available with either dual or quad core processors, the Automation PC 2200 offers fully scalable processing power. Thanks to B&R Hypervisor, the Automation Runtime real-time operating system can run simultaneously alongside Windows 10 IoT Enterprise or Linux. 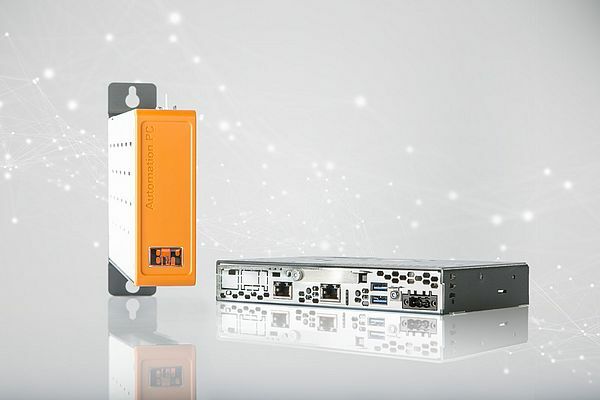 The Automation PC 2200 is perfectly suited as an IoT gateway or as a full-fledged edge controller or edge device. In its box PC format, the Automation PC 2200 can be equipped with an optional SDL4 interface. This digital transmission technology allows HMI panels to be operated at distances of up to 100 meters.